What is the world coming to? Blogging twice in one week? I know-crazy! It is late at night right now but I am too jazzed up to go to bed. It's been quite a week but a very productive one I must say. 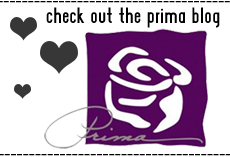 Live with Prima has a ton of great stuff coming up and i have been working hard at getting everything organized through December. We have some amazing designers joining us for some awesome Prima classes in the next couple of months. 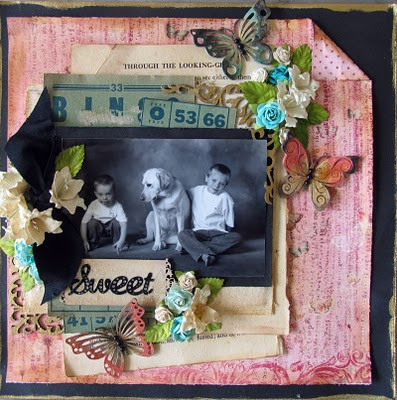 Claudine Helmuth-yes-the amazing collage artist-will be guest designing on October 26th! I am so excited to have her on the show. She will rock it! Sharon and I were in Minnesota this month for Scrapfest at Mall of America. It was so fun and crazy busy! They set up the entire event throughout the mall, with classes, make and takes, demos and crops. It was so wonderful to meet so many scrappers from all over that area! And i got to meet the one and only Kathy (kathask) and her super sweet Mom during the show. I was so glad to meet them in person--love them! Here is a photo Kathy's Mom took of us after the Prima workshop. Thanks for the photos girl! 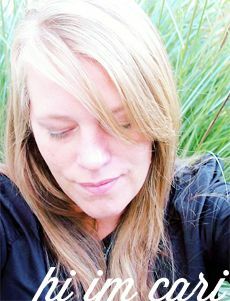 AND----I am guest desiging for AllyScraps.com this month!!!!!!! Thanks Dana for the invite! They have such a great online store-they have been around for quite a while! Lots of goodies in their shop, a great blog full of ideas (so inspiring) and a nice quaint message board that you won't get lost in. So friendly over there! oh and they are giving away prizes for just commenting on their blog--how cool! Lots of layering with papers, pins, alphas and more. I just love the charms too. Here are a few pages inside. More papers, labels and cute little animals everywhere. And nothing is complete without some ribbon and flowers. The pockets are little pages included in the little book-how cute are they? I added some stickers and stapled a little phrase at the bottom. And more pins with charms. The charms are little fruits and birds and butterflies that come in all colors. Has it really been almost a month since I posted? Sheesh! Sorry for that. I am constantly told to post more often and I really should! It's really about not taking the time to do things for myself and this effects me in all aspects of my life right now. I have a "to-do" list about a mile long and I have been unmotivated to create lately. I think knowing there is so much on my plate, I get overwhelmed and it causes me to shut down. I think I need to just set aside some time to organize and gather my thoughts. I need to think about one thing at a time, it will be much more productive and a lot less overwhelming. Wish me luck on this new plan! OK-onto the project! Here is a layout I created in my hotel room at CHA. I wanted to experiment with Prima's new masks and I just love the Hot Air Balloons! 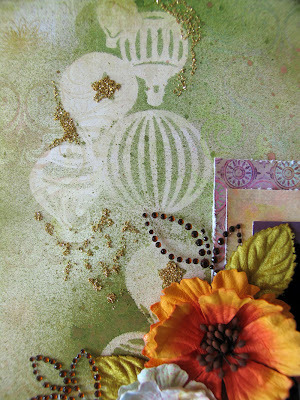 The background paper is a piece from the new Fairy Flora Collection. It was a subtle design so I thought it would work really well for the masking. I sprayed the mask a few times, creating a border on the left. I used Olive Vine Glimmer Mist and then added dabs of glue around the images for the glitter. I sprayed Vintage Pink around the background to warm up the color pallete. This is a photo of all the Fennell kids on the fourth of July. We take a photo every year out on the dock at the lake when we are all there. It's really the only time of year we are all together for a photo like this. Everyone is so busy and spread out everywhere, so we take advantage of this opportunity. 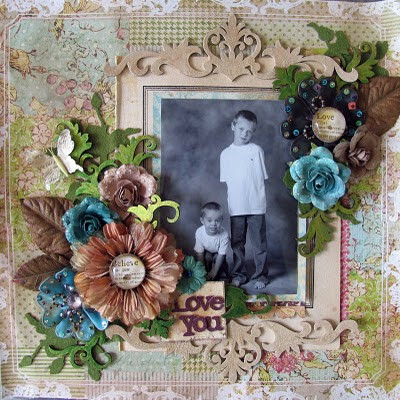 I layered papers behind the photo and then added the flowers. I chose colors from the photo to compliment it-none of the kids "match" but this works! I love the color palette. The new bling leaves added a lot of interest to the flower clusters without overwhelming it. I also love the texture and font of the new alphabet Prima released. So fun to use! And here is a close up of the sprayed areas. I sprayed heavier in some spots than others. I didn't want it to look perfect and that was the look I was going for. OK-so thats all for now. I do have a mini album i want to share too. I think it needs to be posted all on it's own. I will upload it in a couple of days. Right now-I need to finish some work and get myself ready for some creativity. Thanks as always for stopping by! I LOVE the comments! This month, I have been asked to guest design for Dusty Attic-they make the most amazing laser die cut shapes! They are a company out of Australia and fairly new in the industry. I think they are going to be big because their products are gorgeous and so fun to use! 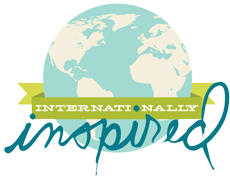 Check out their site-they have some many amazing samples that they share in their gallery--it is very inspiring! Here are a couple of layouts I made for them this month. 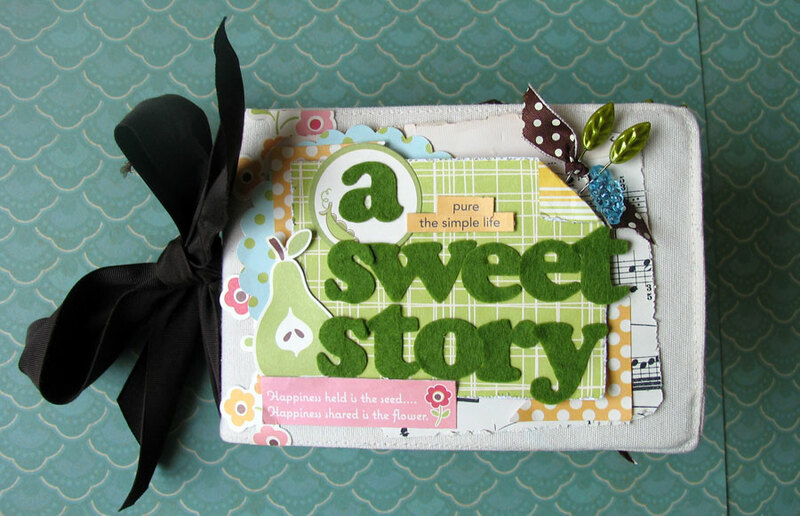 I created this layout titled "Sweet" using their butterflies and corner accents. I painted the butterflies in 3 different colored acrylic paints. Then spritzed them with water to make the paint flow over the surface. Then I covered them with the Rock Candy paint and inked them as well. I added some black pearls to the bodies. 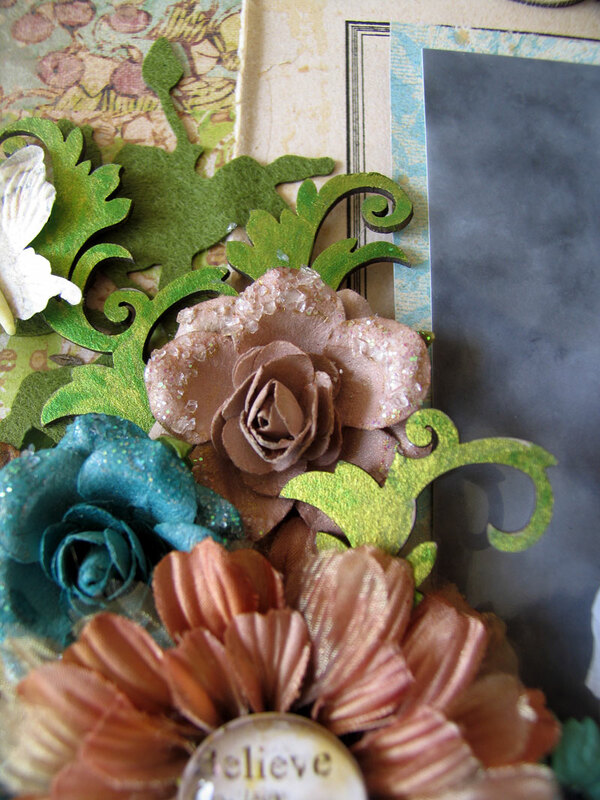 All of the papers, flowers and lettering is from Prima, Flights of Fancy Collection. 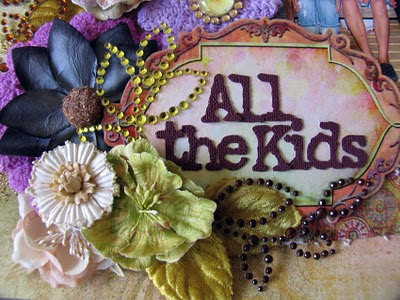 After it was finished, I sprayed the entire layout with Wheatfields Glimmer Mist from Tattered Angels-love that color! It added a bit of an aged look that I was going for. 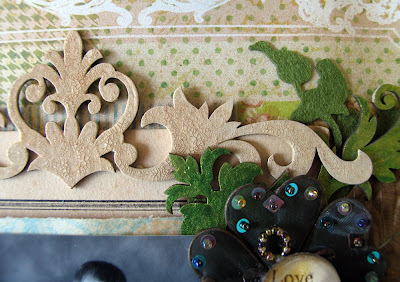 The decorative corners-I inked up with Distress Embossing Ink by Ranger, sprinkled gold embossing powder over the surface and then heat set. The surface looks like brass or gold metal-I love the way they turned out. I also painted the tab that the title is placed on with Tan acrylic paint from Claudine Helmuth. This is the second layout i created for them titled "Love You":I used two larger decorative brackets. I painted them in tan using Claudine Helmuth's paints, then layered them with a coat of Distress Rock Candy crackle paint. Then I applied Vintage photo distess ink to bring out the porcelain type crackling on the pieces. Then I cut apart the Ornate frames and put two cots of Green Apple smooch over the pieces. Then tucked them around the flower clusters to make them look like 3 dimensional leaves. All of the papers are from the Raspberry Tea paper collection by Prima. The flowers are also Prima- Caravan, Queen Anne and Tea Roses. 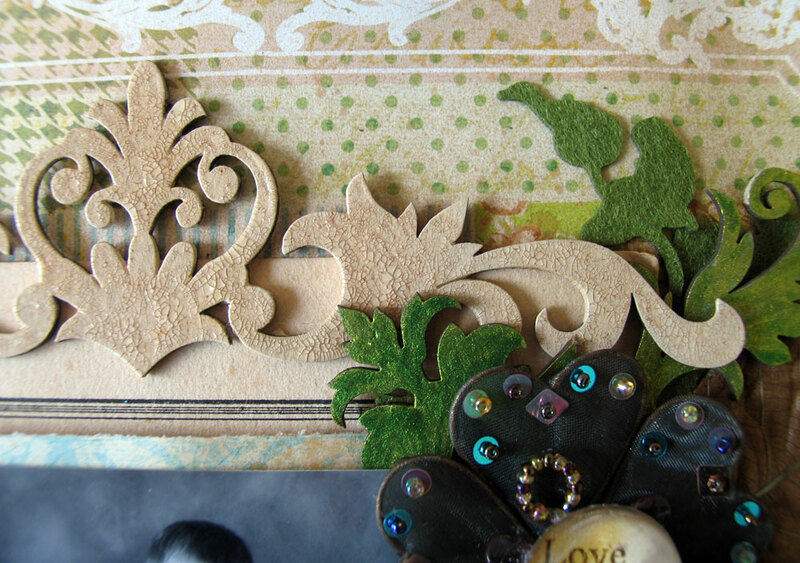 I added De Vine felt stems to add to the layering of the scrolled pieces. The letters are from their new alphabet collections too. Love the sprinkled suger look of the flowers and the sparkle of the scrolls I painted from the Ornate frames. It all came together so well! 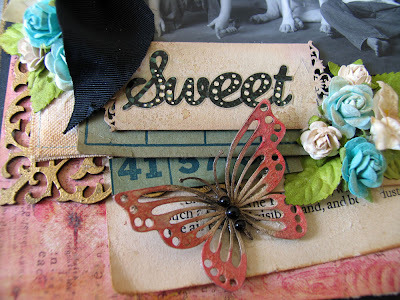 My Live with Prima class at Stampin & Scrappin Time in Bridgeport NY was fabulous until I saw that Ustream had deleted a large portion of the taping...UGH!!! But no worries! I re-recorded it and they tried to sabatoge it again but I rallied! The retaping is in two part segments on the Prima channel on Ustream. Here are the links if you want to watch! I don't have any make up on or my hair done-LOL! It was planned at the last minute! And here is a photo of me and Holly from my original show night! She is wearing one of my crowns-which she looks fab by the way-and she made me these awesome cupcakes for the show! Loved them! OK-thats all for now! I will be back with more news, projects and more!